How Many Segments Should My URL Contain For Best SEO? This is a really important question. It can be approached in a couple of ways, and each way will have an impact on your overall SEO. 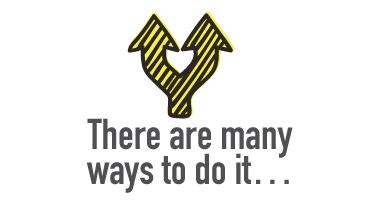 As you’ll see in the following examples, there are many ways to segment your URL. If you Google 10 different local keywords, you’ll see a huge variation of URLs that pop up. Some will have no folders, some will have two subfolders, some will just rank the homepage, and it varies tremendously. There’s no best practice. Although there’s no specific way to do this, it will have a major impact on the rest of your SEO campaign and how well it succeeds. Let’s take a look at some examples to help you understand how each variation will have an impact on your overall search engine optimization efforts. If you were to do SEO the same way, and you were to build some links to the homepage, and build a few links to the landing page that you created, chances are that Roysdental.com/Brooklyn is going to rank much better than Roysdental.com/AreasServed/Brooklyn. It’s actually pretty simple. The closer a page is to the root domain, the more SEO authority and internal link juice is transferred to that page. Inversely, the more you bury a page in the site, the less link juice will get transferred from the homepage. Pretty easy to understand, right? So, if you only have a handful of areas to rank for, and you aren’t targeting dozens or even hundreds of different locations, put your URL as close to the root domain as possible. Why Would You Potentially Need a Deeper, Longer URL String? Maybe you have big plans. Maybe you intend to expand your business and have no interest in being a simple mom-and-pop shop. You have dreams of going nationwide one day and plan to work hard to get there. In a situation like this, it will get really messy to add pages like Brooklyn, Queens, Long Island, Manhattan, etc. and having hundreds and hundreds of other pages directly off of the root domain. All of a sudden, all of your link juice is being diluted and the SEO effects are weakened. You’ll suffer from the law of diminishing returns following this method when adding hundreds of pages. After a while, the more pages you add, you’ll no longer receive the same root domain benefit that you’d receive if you only had a few page URLs set up this way. In the worst-case scenario, you’ll actually get the root domain benefit temporarily, and it may even last for six months. So what appears to be a good thing will eventually come crashing down all around you when you least expect it. Eventually, the hammer is going to drop and all of the beautiful root domain link juice is going to disappear. 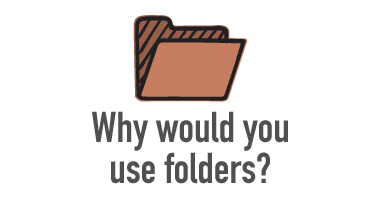 When Do You Use Subfolders, Start Categorizing Things Better at the Local Level, and Start Expanding into Many Different Areas? To continue with our example, let’s say you’re attempting to build out pages for 100 different cities in the state of New York. In this situation, you need to focus on getting more categorized. In some instances, you may want to sort by the state. In other instances you may decide to sort by the county. Well, when you create state pages or county pages, they are actually going to become the hub pages on your website. And the hub pages are the pages that you need to build more links to. It’s just not feasible to build high quality backlinks to hundreds of pages. Sure, you can send tons of crappy spam links to these pages, but Google will eventually catch up to them and they are going to do more harm than good. Let’s not sacrifice our SEO efforts in the name of building links. If you want to build high-quality links, and you want those links to go far, you have to create hub pages. You have a New York City or County page. You build a bunch a high-quality links to this page. Guess what? The link juice from the hub page is going to transfer to all of the other pages that are linked to on that hub. At this point, Google is going to start dividing link juice out amongst the pages. And if you’re doing it with quality links, you’re even beginning to build up thematic relevance for dentists and you’re building up location relevance for New York. Before long, you’re even seeing some nice bumps and traffic. So you have to approach this with a long-term view. When in doubt, when you’re building a small site, keep your URL segments as close to the root domain as possible. And if you’re going big, and you really don’t know what you’re doing, make sure to read up on the topic. Think about the best practices that I’ve shared with you today. And even take a look at what your competitors are doing to get a better idea. At the end of the day, URL structure is only going to get you 5% of the way. This is especially true if you do not have an authority website. It’s at this point that you have to start investing in content for the site, building internal links to each one of the pages – internal link juice is so important; and building backlinks to help boost up your rankings. 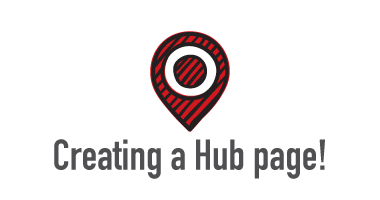 All the pages you create, all of the hub pages if you follow the hub pages method, all of the blog pages that are interlinking to your service page – this is how you start building up link juice the right way. I hope this brief explanation has helped.